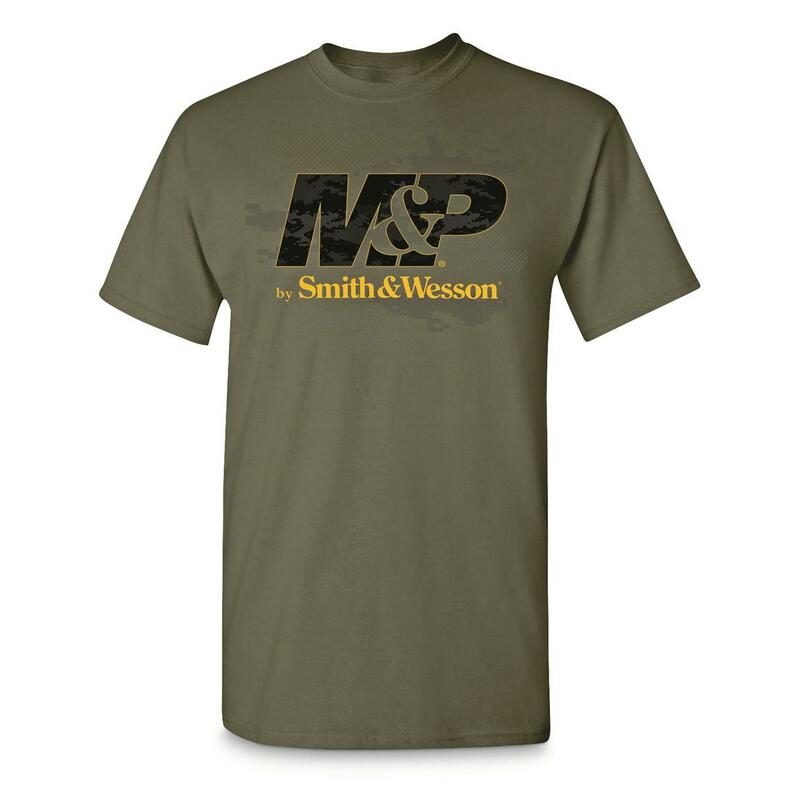 You love the design and shootability of the M&P®. And you'll love this Military Green Shirt that sports the brand and logo. It wears comfortably, too…thanks to soft 100% cotton fabric and a tagless neck label. Fire away and order today! 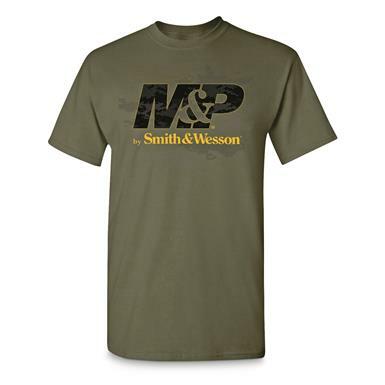 Smith Wesson Mens M P Tech Revolution Logo Fill Shirt is rated 5.0 out of 5 by 1. Rated 5 out of 5 by Joe 65622 from Great Quaulity Shirt Great Quality Shirt with a nice print.